A major weak point of Android set-top boxes, especially for people with the knowledge and desire to set up the perfect HTPC under this operating system, is the frustrating fact that none of them offer 4k video output. This is the reason why, upon hearing about the NVIDIA SHIELD TV, I knew I had to research a bit further, since it is advertised as being the first Android device to offer 4K video support. 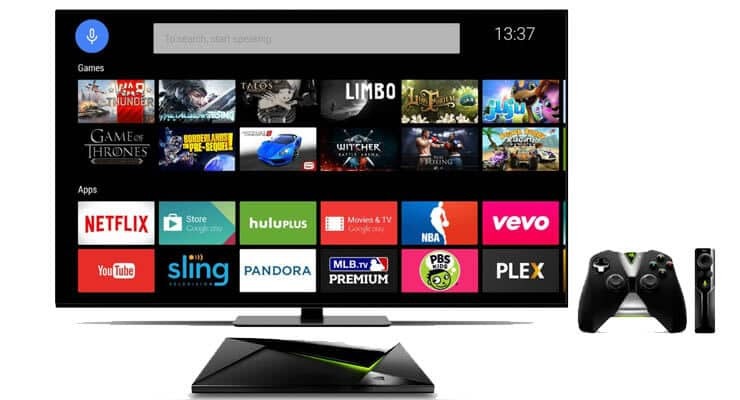 The innovative design of the NVIDIA SHIELD TV stands out in your living room. This device runs on NVIDIA Shield Android TV, which is merely Android, but with a 10-foot interface. Thanks to this, you will be able to watch your shows and movies using Kodi for Android or any other application you want for this operating system. However, this device could also stream any other HTPC application from your computer (provided you have a compatible graphics card), and display your media on the big screen without lag or slowdowns. There are many interfaces to connect your NVIDIA SHIELD TV to useful peripherals. What comes with the NVIDIA SHIELD TV? 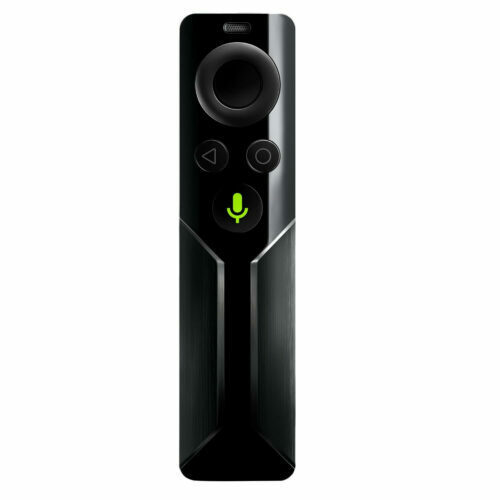 The NVIDIA SHIELD TV is packaged with a gamepad, since it is part of a family of devices oriented towards gaming, however, an NVIDIA SHIELD Remote sells separately and at a very reasonable price tag, so it might be a good option if you want to control your HTPC installation from your couch. This said, the gamepad is also a good option to control your media, although a bit less conventional. If you want to use headphones while watching your shows, you can attach them to the gamepad or the remote, which provides a better ease of movement and positioning. Included with the NVIDIA SHIELD TV is the HDMI cable, useful to connect it to your TV set. 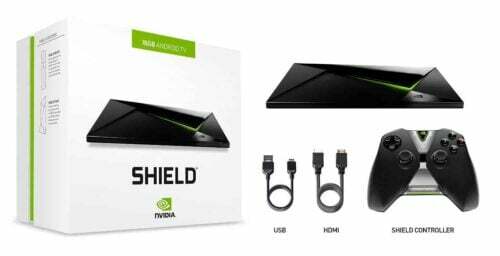 You can get this device in two versions, the NVIDIA SHIELD TV, with 16GB of storage, and the NVIDIA SHIELD TV Pro, with 500GB of storage to stash all your media in it (with a different price tag, of course). This device can also connect to NVIDIA GRID, a game-streaming service by NVIDIA, with new games added periodically. If your connection is good enough, you can also enjoy games with a great quality of graphics in your living room. The NVIDIA SHIELD Remote can be bought separately. It offers all the needed buttons to control your HTPC. Would you recommend getting the NVIDIA SHIELD TV? This is one of the devices I could recommend in a heartbeat, and to be honest, I actually would plan on getting it sometime in the future. The reason? NVIDIA is a well-known manufacturer of graphics cards, and recently has been delving into the world of making more consumer-oriented devices, such as portable gaming consoles or tablets. I own the tablet, which uses the same Tegra K1 chip, and it actually is an amazing piece of hardware at a decent price tag. Now, bear in mind this NVIDIA SHIELD TV has a price tag that you might consider excessive at first glance, being that there are other Android TV Boxes which are cheaper and offer almost the same thing, but you have to consider many factors, mainly the gaming aspect of the device, which you get alongside the media experience and, in case you don’t care about gaming, there’s also the fact that this device is the first Android player with the capability to display 4k video, so this is a great plus. If you take a look at the specs of this device, its design, the flawless way in which it plays media, and the world of possibilities it would open to you the instant you hook it up to the TV, you will soon realize that this is a great option to power your HTPC.